A court will review petition to sack Pustovarov. 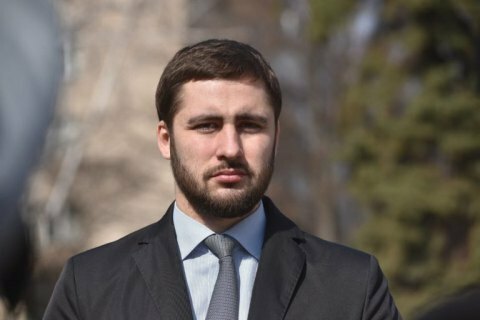 The Prosecutor's Office of the Kharkiv Region served suspicion of gross embezzlement through a conspiracy to the fourth defendant in the Zaporizhzhya fictitious tenders case, to the deputy mayor of Zaporizhzhya, Anatoliy Pustovarov, 30. "The prosecutor's office asked Kharkiv's Chervonozavodskyy District Court to warrant the arrest of the defendant," the local prosecutor's office said in a release on Thursday. Prosecutors also asked the court to warrant the dismissal of Pustovarov. On 1 December, the prosecutor's office and the SBU conducted 30 searches at Zaporizhzhya officials and detained deputy head of the Zaporizhzhya regional council Vladyslav Marchenko, his brother Mark, and the director of the Melitopol utility company Oleh Obrezanov. Pustovarov has reportedly fled to the temporarily occupied Horlivka in Donbas. On December 23, however, Pustovarov surfaced in Kharkiv. His lawyer said that his client was hospitalized but will cooperate with the investigation. The investigation has reasons to believe that Pustovarov, along with a number of regional officials was involved in major embezzlement schemes during public procurements. The officials organized a dozen fictitious tenders for the improvement of parks and children's playgrounds with a pre-determined winner. They are believed to have pocketed about 90 mn hryvnia.